Haredi lawmaker says infrastructure work carried out on Sabbath to blame for string of malfunctions in new Jerusalem-Tel Aviv train line. 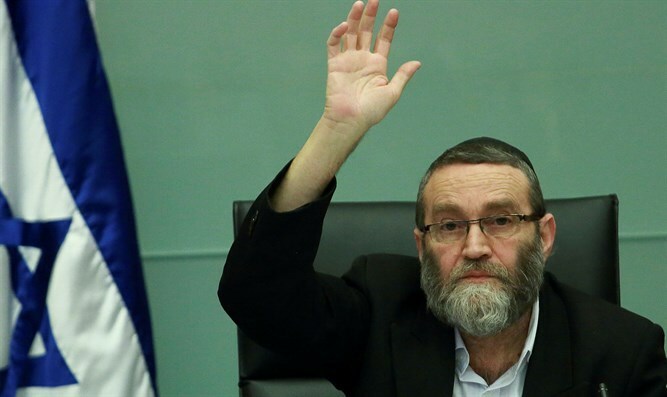 MK Moshe Gafni (United Torah Judaism), the chairman of the Knesset’s finance committee, offered an explanation Tuesday for the string of disruptions in the newly-opened high-speed train line from Tel Aviv to Jerusalem. During a committee hearing on Tuesday, during which committee members discussed funding for the Transportation Ministry, Gafni blamed a recent series of technical malfunctions affecting trains on the Jerusalem-Tel Aviv line on Sabbath desecration by the Transportation Ministry.